Spotted on Valencia Street in the Mission District in San Francisco. 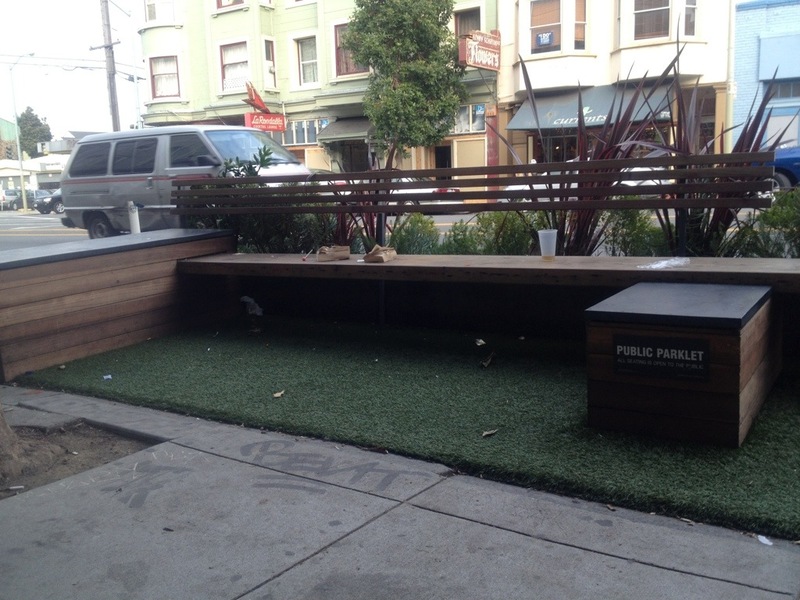 A cute little parklet on the sidewalk. Why not?